Happy Lunar New Year’s Eve! The fruits of the Kumquat tree grow in clusters. They ripen within a month from green to brilliant orange. Once mature, the fruit can reach up to 2 inches in length. Unlike citruses, the entire fruit is edible, although the few seeds buried in the flesh are recommended to be spared. The peel is where the true citrus sweetness lies in both aroma and flavor. The flesh offers a bold and juicy tart contrast, making for a sweet tart mouthful. Before disposing of or simply eating, consider saving the seeds, as they are a source of natural pectin. Kumquats are available most of the year, but may have limited availability during the fall. There are four varieties of Kumquats, two varieties being the most common: nagami and meiwa. The nagami is oval-shaped and the meiwa is more rounded. Meiwa is considered to be the sweeter of the two, yet nagami is most commonly grown as it is a more vigorous, hardy and prolific producer. 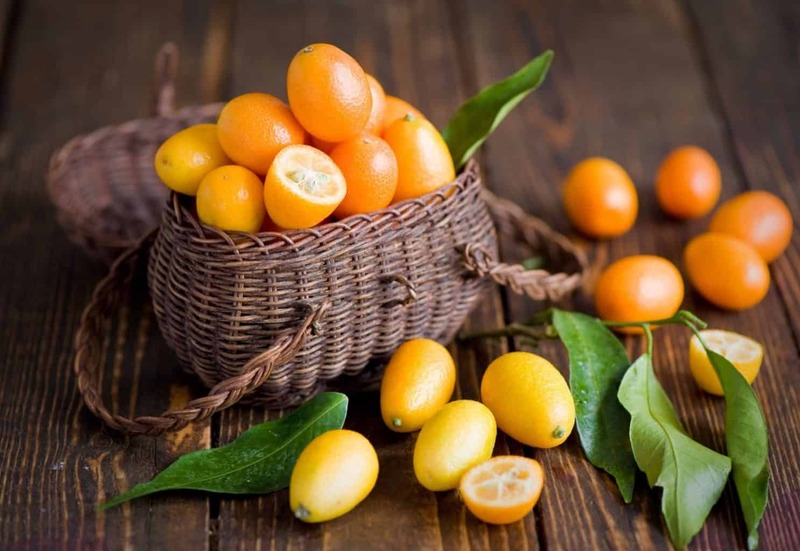 Kumquats used to be classified as a citrus up until 1915 when they were given their own Genus, Fortunella, named after horticulturist, Robert Fortune, who introduced the kumquat to Europe in 1846. As Kumquats are entirely edible, they are a versatile ingredient in both sweet and savory preparations. Slice Kumquats into coins and cook with sugar and water until candied, then use to top pound cake or ice cream. Add sliced Kumquats to pomegranate juice, champagne and club soda for punch. Poach Kumquat slices in sugar and water, then layer over a tart shell baked with almond and butter filling, topped with kumquat syrup. Cook Kumquat and onion slices until softened, then add lamb breasts, braising liquid and cook tagine until meat is done, then serve over couscous. Dice Kumquats and mix with diced avocado, red onion, cilantro and lime for a fresh salsa. To prepare, wash and dry. Seeds may be plucked out with the tip of a knife. Kumquats have a long culinary history within China, Taiwan and Japan, where they are often preserved as jams or in salt (similar to preserved lemons). The fruit is added to teas in Taiwan and is used as an ornamental bonsai tree throughout Southeast Asia. Thanks for a great 2016! We wish you a glorious, rewarding, and productive new year. Cheers! Fun Produce Fact: In Greece, the #pomegranate has held strong symbolic meaning since ancient times. 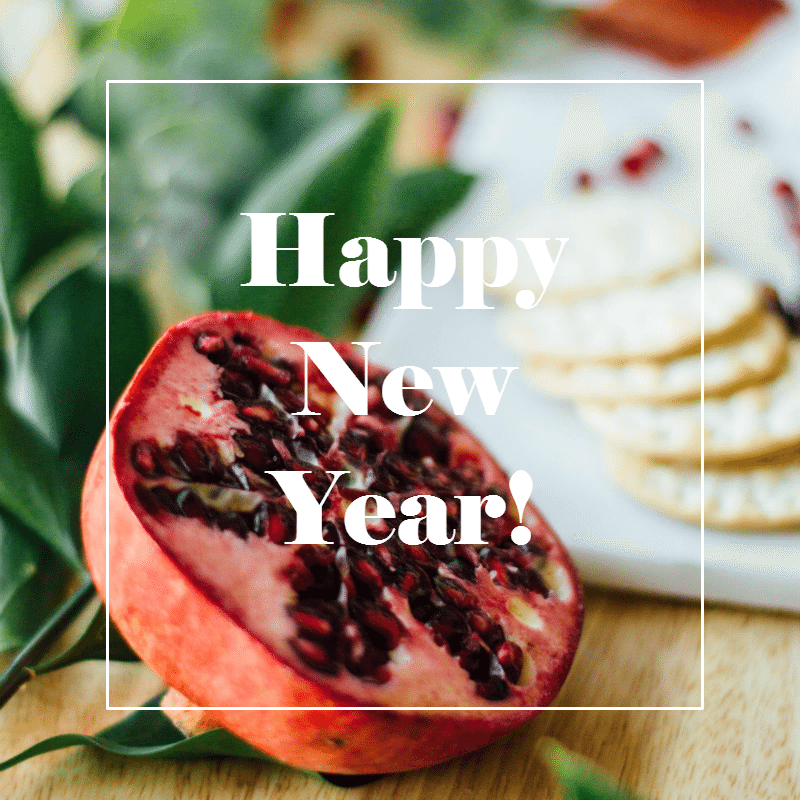 A common tradition on#NewYearsEve is to throw pomegranates on the ground, and break them apart. The more they burst, the more abundance your household will have! Daylight Foods Inc. is California's premier sourcer of food from farms to grocers and restaurants. Based in the San Francisco bay area, Daylight Foods works with farms throughout California to provide fresh food to businesses. © 2019 Daylight Foods. All Rights Reserved.